Earth's Internet & Natural Networking: Everything You Wanted to Know About Climate Change Reversal and Were Sorry You Asked! Everything You Wanted to Know About Climate Change Reversal and Were Sorry You Asked! "Every Dark Cloud has a Silver-Iodide lining"
Why does traditional Science opt for the "Fix-It-Pill" approach to correcting dangerous ecological disaster circumstances like this runaway freight train called climate change ? I haven't seen one logical viable idea or explanation anywhere. Sometimes it's impossible to understand the thinking of Scientists, Researchers and Politicians in charge of figuring out this whole mess. Unfortunately with Science, while there are some sincere and honest researchers who do in fact care about the environment and make great efforts to understand the complexities of what is actually happen, it's the majority of those who control science who are shackled by ideology and bias of what ever political atmosphere reigns at any one time. But then it's fruitless to sit back, view, ponder and meditate on how & why they do anything they do when it comes to problem solving and making practical applications to many of mankind's pressing issues. I mean they are suppose to be the geniuses of this world and therefore they must know what they are talking about right ? Let's take a gallery view of some of the ludicrous, absurd and asinine things they are proposing as far as Eco-Solutions to our natural world's failing Climate health which is said to be the result of being steam rolled by humans around the globe in the first place. to save planet Earth ? This brings us to some of the latest Sci-Fi inspired ideas which in no way address the imperfect human causes of climate change, but rather pursue a quick profit-driven fix-it-pill approach to addressing it's symptoms. No surprise here as this is exactly direction taken by this world's medical industry who make the claim "We just want to heal people". Seriously, folks, get a clue, if they actually heal and cure folks, their whole profiteering way of life & industry is down the proverbial toilette. Back in 2009, researchers at the Royal Society of Britain in Scotland decided to back research into simulating volcanic eruptions, by spraying millions of tons of industrial manufactured science-based chemical dust into the air just like volcanoes do with Volcanic ash and other gases, to "stave off climate change" is what they said. Of course how would they accomplish this ? Geo-Engineering or Weather Modification through retro-fitting military bombers with spray equipment for releasing tons of chemicals like Aluminum Oxide, Silver-Iodide, Barium, etc high up into the Stratosphere (just like volcanoes do?). Some chemicals may even be pumped into the air via large tubes fitted to large balloons entering the stratosphere and then releasing the chemical cargo, thus it is believed that simulating what volcanoes do with create a blanketing effect which will shield the earth from those harmful rays which warm up the temps, which of course are bad things. Of course it's irrelevant that at one time when the Earth was at the peak of it's perfect vegetative state when forests were to be found from Pole to Pole, that temps were warmer globally, but warmer temps now are bad. To be sure there is a climate change and it's not good, but more is involved than mere temp increases. But let's view a few of the schemes anyway. Various methods proposed to reverse this climate change are to pump various chemical aerosols and other chemical particles into the atmosphere. Here we see a ship out to sea away from land areas and a massive high altitude weather balloon carrying a hose which releases gases pumped upwards from the tanker ship below. Illustration attempts to justify this by showing volcanoes naturally do this all the time. There are of course a number of excuses as to what this will accomplish. First, create clouds and storms over oceans so that when they move over land, they will dump their rainfall contents across the landscape. Or, they could create a artificial ozone and block the sun's warming effects. ASTEROID DUST TO FIGHT CLIMATE CHANGE ON EARTH? To combat global warming, scientists in Scotland suggest an out-of-this-world solution. The solutions thus far they have come up with to correcting things on Earth is nothing more than Science-Fiction. 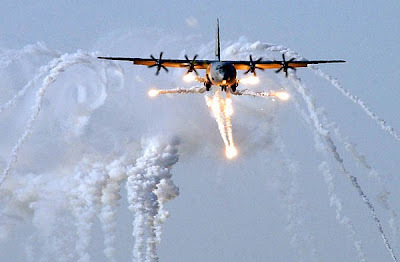 Thus far all of the solutions have been nothing more than controversial theories on how mankind could deliberately manipulate our planet's climate mechanisms with large-scale engineering projects, commonly called Geo-Engineering or Weather Modification. The above illustration is the latest in a long line of absurdities and asinine solutions. Apparently they want to recruit Space Cowboys to lasso an asteroid, bring it close to Earth's atmosphere and detonate a nuclear device to blow part of it into some sort of dust cloud to encircle the globe and block the Sun's radiation from heating up the planet and in turn reduce the effects of the Sun's warming. Seriously, this is their thinking and reasoning! Let's take another gem. Who hasn't seen this Sci-Fi animation before ? Whitening the Clouds with Wind Powered Ships. Stephen Salter from the University of Edinburgh and John Latham from the National Center for Atmospheric Research in Colorado want them to reflect a little bit more. 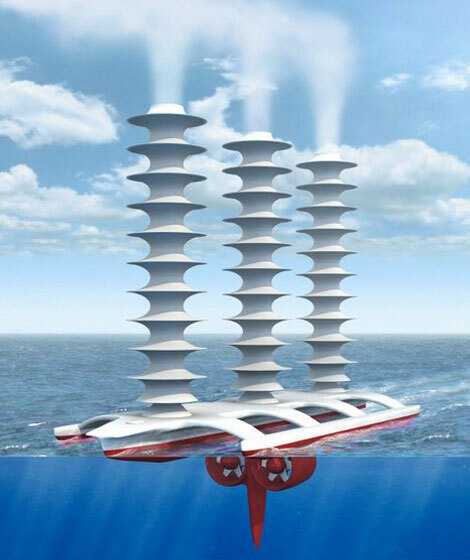 Increasing the reflective power of the clouds by just three percent could offset humanity's contributions to global warming, Latham says, and the way to do it, he believes, is to spray a whole lot of seawater into the sky. Latham and Salter suggest that a fleet of 1500 boats could do the job, combining to spray 50 cubic meters of water droplets per second. Okay, so how about another imaginary Sci-Fi concept. Would you believe launching countless rockets into space to set up Solar Mirrors to revolve around Earth to reflect the Sun's Ultraviolet light back into space ? 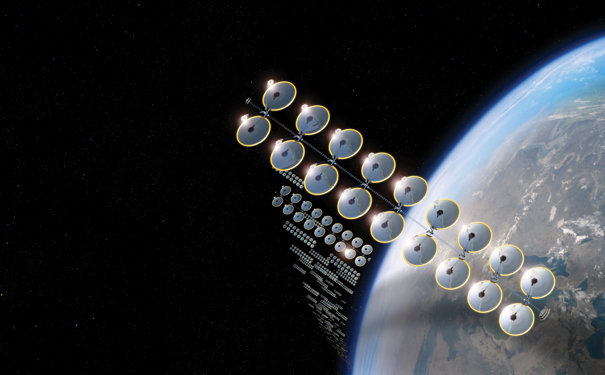 Adding to all the other space junk out there, it should be quite a sun shield. How about manufacturing white Ice Protector Sheets and completely covering all the Glaciers ? Sounds silly ? Seriously, there are companies already planning these schemes. Not long ago there was a geo-engineering documentary on CNN Europe that was seriously reporting on this desperate measure to be undertaken over on the Greenland ice sheet. I could go on and on about the many irresponsible ideas coming out of science these days, none of which address the true cause of the climate crisis or actually offer logical and viable options for a true reversal. There are actually good scientific ideas and innovation based on understanding of how the natural world works, but even these have their limits if for no other reasons they must be implemented and followed by imperfect human beings around the globe. What chance is there with that ? The real problem is something that truly has ZERO to do with a materialistic solutions fix and clearly something that science can never address. People's behavior. How do you get the average human being to cooperate and do the right thing ? How do you reach a person's heart (the deep seat of motivation) ? What authority for morality do world governments establish and force others to follow ? Once determined, do you then legislate this new morality on people for their own good without some type of Secularist World State where they establish a type of Green Police to force everyone to live according to the new rules ? If history provides any clues, the rich and politicians will simply find loopholes in such a strict Futuristic Dystopia which they force and impose on others to live by, while they themselves live in business as usual pleasure world which is usually out of touch with reality anyway. Even then there clearly are no guarantees. The reality is, it's truthfully not an green ecological issue for most politicians and big business leaders who run countries around the globe. It's more about growing economies which offer leaders their power to stay in office. Tamper with the local economic machine to make it more eco-friendly and you risk losing jobs, or so this is what the perceived consequences are. Let's be honest, most people globally are more concerned with jobs and personal wealth and every country is effected by this pursuit of a material goal. Growing of industrial infrastructure and encouragement of more consumerism is viewed as the only way to keep the peace and pacify the restless masses of mankind. So climate crisis while they acknowledge as having serious potential consequences, is viewed as the lesser of two evils, the first and worst (in their minds) being global social breakdown, civil unrest and riots in city streets in major cities around the globe. Many places in the E.U. already have this as an ongoing problem presently. Just watch the World News Reports. 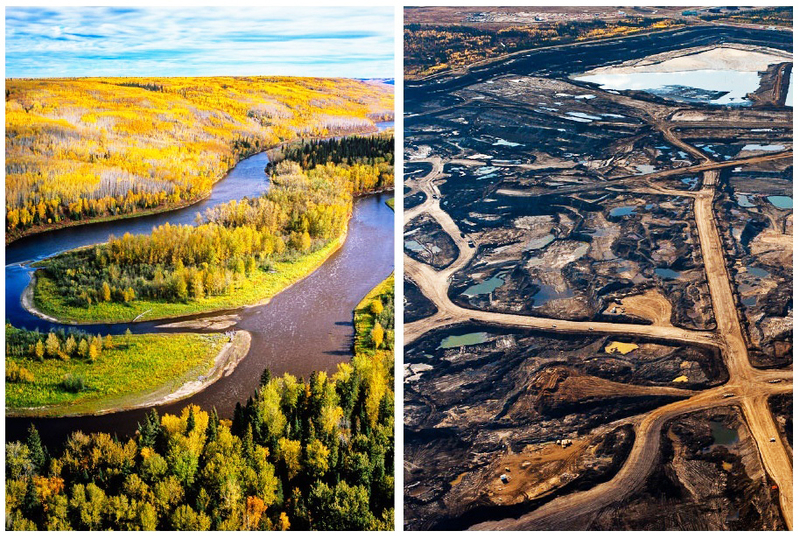 This Athabasca Region of Canada clearly illustrates just how important natural resource extractions are for keeping the global economy's Industrial Machines running. At the same time ignoring that there is any importance to the Boreal Forests, rivers and tributaries, wildlife habitats and underground water supplies which have been sacrificed for the perceived greater good. The world's economies need raw materials to run their industrial machines and while there is a preaching from the Ideological Pulpits so to speak of this newer teaching of 'Sustainability' as the new eco-religion, most experts behind the scenes know full well, that this is only for eye appeal. As I've written here on this blog about the amazing mechanisms for which drive life on this planet, there has been no secret nor holding back as to what the true mechanisms are for the creation, function and maintenance of our global climate machine and that is ALL of the Earth's various vegetative ecosystems found around the globe, and seriously, we're not just talking rain-forests. Green living deserts, old growth chaparral habitats, pristine wild Savannas, Boreal & other northern hemisphere Temperate Forests - etc, all contribute in the same ways to global climate creation, moderation and maintenance. Here are some reminders of how the Earth's Interconnected Network actually works as the good responsible science itself has revealed it to us, but apparently get's shelved in the basement of some obscure library basement somewhere and ignored. I love illustrations, don't you ? Take a long hard look at those before and after photos above and visualize what is being done and compare it to an Auto Chop Shop operation. How much of a automobile can be dismantled before you admit it's no longer functional ? Could you simply take off one wheel, Jerry-Rig it for balance and say it's still perfectly functional because appears to stay balanced after some modifications ? Further, does dismantling doors, hood and trunk lids or removing seats with safety belts and saying it's still a still functional car because it still moves forward make it okay & safe to drive ? Even though it still moves, would you not agree that it is less safer now than before ? How long would it take for the engine to stop working if you removed components from it here or there one by one ? If you got down to where the radio & headlights still worked and the ventilation fan still function for no other reasons than the Battery was still viable, would this still a reason to insist there is no problem ? Would such a dysfunctional car in a barren desert wilderness or an Arctic Storm be capable of sparing your life to continue for very long ? Everyone knows the answers to these and it's as comic as this clip below in a well known movie comedy. What else is there to say or convince someone what should be done ? 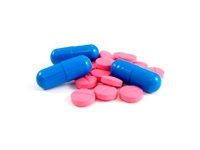 If Fix-It-Pills are a bad science approach to climate mechanism correction, then what is ? Permaculture, Agro-Forestry, Terra Preta, Hugelkulture, Biological concepts such as Mycorrhizae & beneficial bacteria inoculents, etc are all good sciences. They attempt at least to replicate what nature does in the wild. These scientific concepts at least attempt to work with rather than against the natural world. It's so simple, even a child gets this! Rebuild all of these various vegetated ecosystems and dump the chemical regimens so common in our Industrial Ag's business model. Hmmmm, ah yes the African Savanna. Where the Acacia tortilis is the Poster Image of African Savannas An incredible thing about this tree is it's ability to bore holes deep into the earth and tap into vast amounts of Aquifer water through a process known as Hydraulic Lift & Redistribution and share this life sustaining component with it's neighbours. But wait there's more. Like other trees and shrubs it can also take surface excesses and pump them back down deep into the earth through a process called Hydraulic Descent much like the Mesquite Tree of the Sonoran Deserts do even when they are dormant and appear to be in a hibernation of sorts. Important ecosystem functions are continually ongoing whether the average person observes these phenomena or not. Time to get an education and share it with others. Interestingly most people would never think a pristine rich healthy vegetative environment like that of the Sonoran Desert (or any other deserts for that matter) would have ANYTHING to do with benefiting or actually influencing the Earth's climate. Think again! So much for the flawed thinking of Deserts being nothing more than worthless wastelands that need reclamation and development. In effect, the long time powerful Energy Corporations under the guise or cloak of Ecogreen Sustainable Energy are publicly saying - "Let's keep our customer base by claiming Government Subsidies ONLY for ourselves and build giant Wind & Solar Energy Farms on gifted land deemed worthless for any other use and handsomely reward those leaders who made it all possible by contributing generously to all of their re-election Campaign Coffers." Deserts are not worthless people! Get a Clue! 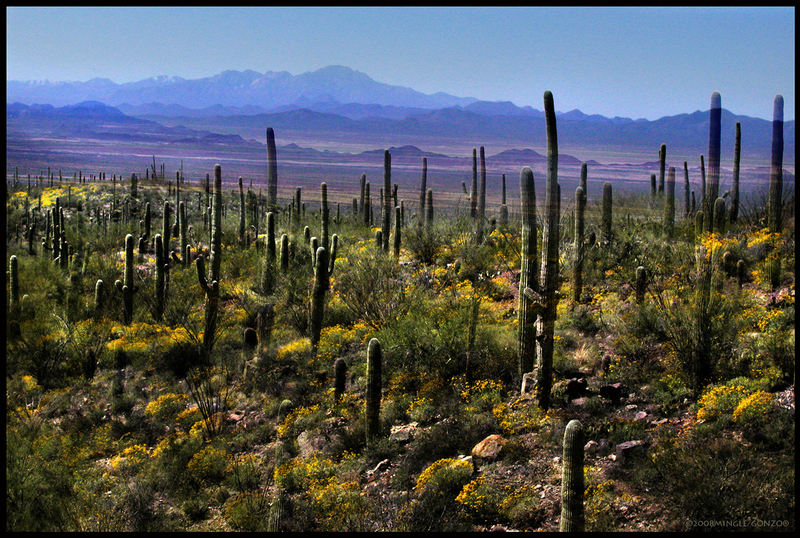 Green Living Saguaro Forests in the Sonoran Desert. Northern Hemisphere Boreal Forests which are being decimated for what the Earth has left in old growth timber in Siberia and areas rich in oil sands resources. Such forests once existed where the Arctic Ice Cap is presently. Though the climate and temperatures were far warmer and different back then, they bare no resemblance whatsoever to the present runaway freight train wreck change taking place & occurring now. Old Growth Chaparral in Southern California and the Mediterranean regions are an import part of climate mechanism function and maintenance. I can personally attest to the cloud formation ability of the Chaparral plant community picture below in this exact same location referenced below. Especially observable during the summer monsoon rainfall season. Old Growth Chaparral in northern San Diego County. This pristine wild stand of dominant Redshank or Ribbonwood (Adenostoma sparsifolium) has been viewed as hazardous to the environment by the government of San Diego County's Fire Management Plan and in desperately needing removal. People have to get educated and decide for themselves where things on this Earth are headed. Once educated, use your brain and ponder so as to make an informed decision based on the truth of the matter as opposed to the emotion of election promises of any & all Ideologies wanting and yes demanding your loyalty and obedience.